The Lombard Historical Society maintains three historic buildings open to the public - the 1839 Sheldon Peck Homestead, the 1882 Victorian Cottage, and the Carriage House. Discover Lombard's history through tours and exhibits. 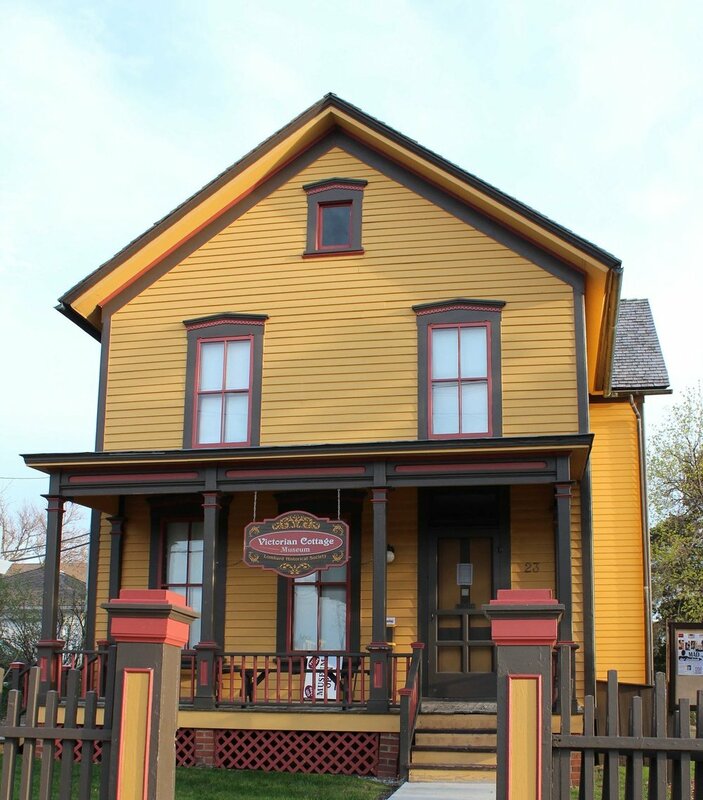 The Victorian Cottage Museum is an 1882 historic house museum that provides information and examples of a middle-class Victorian household as part of the history of Lombard. You'll feel as if you are walking into a friend's lively home in the 1880's. Visit the lovely expanded Carriage House behind the Victorian Cottage to enjoy special exhibits. Don't miss the Emporium for Lombard and Lilac Time souvenirs, gifts, children's books. LHS members may rent the meeting room for meetings and parties. Call us for rental details. The Sheldon Peck Homestead is an 1839 historic house museum that offers visitors information on the pioneer way of life in Babcock’s Grove through exhibits, living history, and educational programs. In August 2011, the Sheldon Peck Homestead was inducted into the Network to Freedom – a list of verified Underground Railroad locations. Read more about Peck's connection with the Underground Railroad. We have turned the east wing of the building into the child-friendly Pioneer Playroom! In 2019, the Peck will be closed in May to prepare for our special exhibit of Peck portraits.